What Jesus began on and around the Sea of Galilee, Paul continued on and around the Mediterranean Sea. With Acts as the stage, the biblical narrative shifts from land to sea. Paul is the central actor in this part of the drama. Luke, the playwright, traveling with Paul on portions of his journeys, was deeply impressed by Paul's challenges and his creative engagement with both the pagans and the Jews living in the Roman Empire. In With Paul at Sea, Linford Stutzman, himself an accomplished sailor, relates key highlights of his personal experience of sailing Paul's voyages two thousand years later. Including examples of discoveries in the cities and harbors of Acts, combined with historical, archeological, and biblical evidence, Stutzman demonstrates the contribution and relevance of Paul for Christians in the twenty-first century. 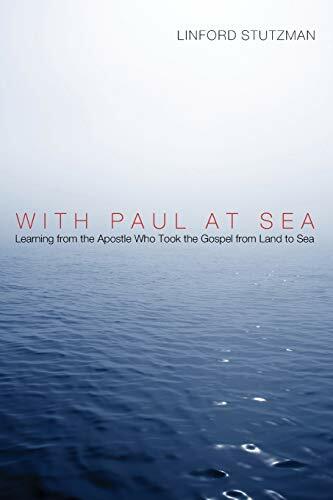 Portraying the modern world as a sea, the church as a ship, and a life of faith as sailing, With Paul at Sea is an invitation for today's Christians to travel with Paul.